Is death the end—or a new beginning? Should it be feared—or embraced? Or is it simply a ceasing to exist? What better way to examine this great unknown than through poetry. Author Stephanie Buckwalter explores eight poems and poets, with chapters on John Donne, Emily Brontë, Walt Whitman, and five others. Accompanied by biographical information on the poet and end-of-chapter questions for further study, Buckwalter unravels each poem, including detailed analysis of form, content, poetic technique, and theme, encouraging readers to develop the tools to understand and appreciate poetry. "...these eight examples will provide ample tools for students learning how to unpack poetry." 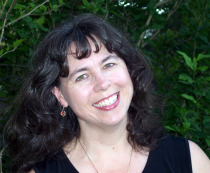 Stephanie Buckwalter is the author of books, encyclopedia and newspaper articles, and content for Web sites.